Aggressively enforcing their interpretation of Shariah law, Islamic State militants have released a new video showing two alleged thieves in Western Syria blindfolded, bound, and flanked by members of the terror group as each has a hand chopped off with a meat cleaver. The news and entertainment site Heavy.com published the graphic video on Saturday which shows a propagandist for IS explaining the punishment to onlookers before their hands are severed. Heavy reports that the amputations took place in Welayat Homs, a city that's controlled by radical Islamic jihadists. IS' propaganda videos are not only being used as strategic recruiting tools, but are also designed to illicit intervention from the West to usher in the End Times. Last week, Heavy published a video showing members of IS-affiliated Boko Haram chopping off the hands of alleged thieves. Women and children are not exempted from amputation according to IS' interpretation of Shariah. The Christian Post reported in March that four boys aged 12 to 16 had their hands amputated in Mosul. One boy was accused of stealing a toy bird. The London based Daily Express reported in October that in the Iraqi city of Mosul, 88 thieves had a hand amputated within a single month. Men caught shaving their beard or wearing skinny jeans are imprisoned or face corporal punishment usually in the form of whipping. Other infractions can lead to death by beheadding. Shariah law covers a wide swath of categories, including economics, behavior, and moral standards. 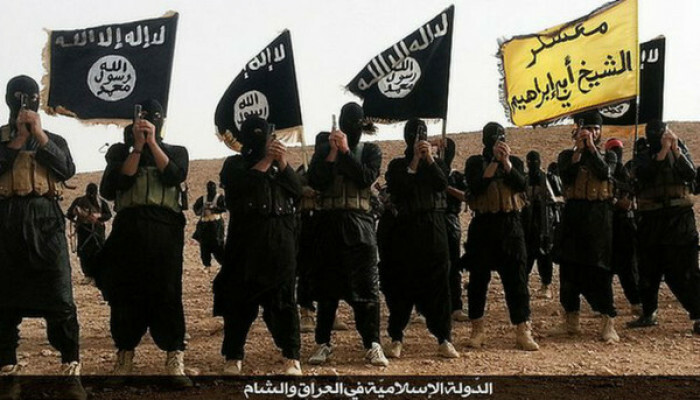 The men who enforce Shariah law under the IS are called the hisbah. Punishment for drugs often results in public execution. Islamic leaders within the IS have compared those with drug addictions and dependency to pedophiles and blasphemers against Allah. Some who are found guilty of murder are often crucified in public. IS militants claim to use special religious judges who interpret Shariah law to issue a proper and just verdict for a crime. Forced sexual slavery by women to Muslim fighters is also justified under Shariah law, according to the jihadis. IS controlled regions are not the only areas that practice Shariah law. Many majority Muslim countries practice some forms of Shariah within their court system. Saudi Arabia is principally known around the world for its strict interpretation of Shariah, where the cutting off of a hand is not uncommon for conviction of stealing.